The DOCMA VF80 Bolt is a superb piece of engineering. It has a max rated capacity of 815kg and a 54cc 2-stroke engine. All this and it only weighs 10.5 kg! DOCMA VF80 Bolt and 100m x 10mm rope. 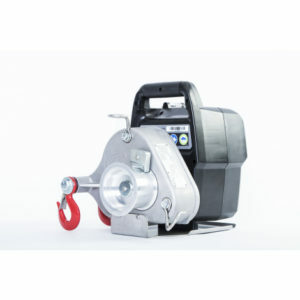 Comes with 2 ton x 2.5 metre round sling and 2 ton bow shackle. 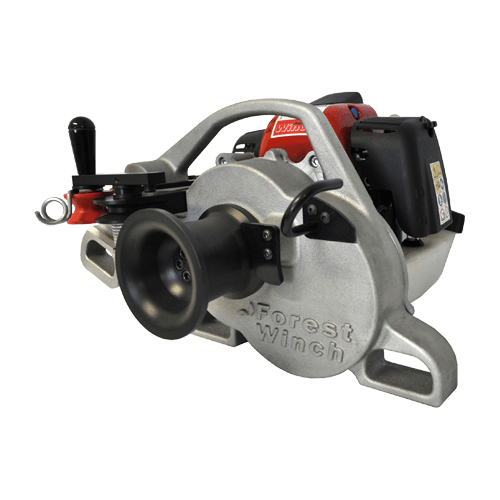 The VF80 Bolt is the best selling portable capstan winch from Italian manufacturer DOCMA. The VF80 Red Iron has an 815kg single line pull. Add a pulley block and it will pull 1630kg! It has a powerful 2-stroke engine so runs on the same fuel as your chainsaw. The 2-stroke engine can also run in any position – even upside down. Combined with a lightweight body, automatic brake and automatic throttle the VF80 is a superb piece of engineering.